Fall is here and with it another New York opera season anchored by the Metropolitan Opera. In an interview with ZEALnyc, Metropolitan Opera General Manager Peter Gelb spoke of the importance of reinvigorating the Met's productions with works that are both 'musical and theatrical.' Gelb says that he's "...not afraid of taking chances," (read more here) and whether you talk about his controversial Robert LaPage Ring Cycle (plans began soon after Gelb's arrival and began its debut in 2010) or last season's talk-of-the-town production of Alban Berg's difficult Lulu by William Kentridge, it is hard to argue that point. It is also hard to argue that the Met is not an exciting place to be found these days, and the 2016/2017 season looks to offer some exciting risks of its own. 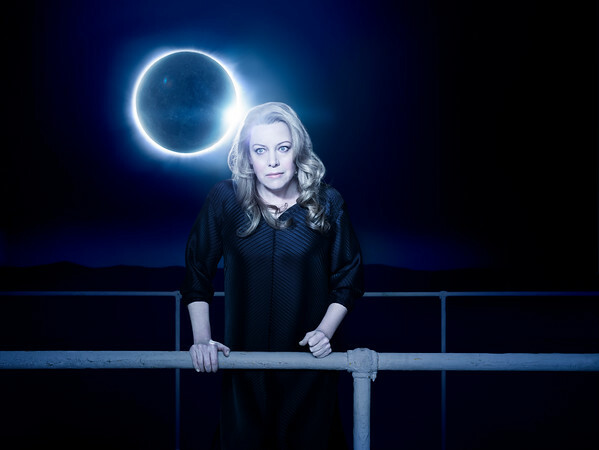 A new production of Richard Wagner's Tristan Und Isolde opens the season on September 26th, conducted by Sir Simon Rattle and starring Stuart Skelton and the Swedish dramatic soprano sensation Nina Stemme. Stemme sang Turandot (one of three women to take the role) last season, and her debut in Patrice Cheréreau's crisp new Elektra, also last season, was riveting. (ZEALnyc: ...compelling actress...a voice that is large, rich and confident.) Rattle is arguably the finest conductor working today and this rare Met podium appearance puts his meticulous attention to detail and sublime sense of pace squarely in front of one of the finest scores in the opera repertoire. Ekaterina Gubanova, Evgeny Nikitin and René Pape also sing in this new contemporary, and nautically-inspired production by Polish director Mariusz Treliński (Iolanta and Bluebeard's Castle). The production (with Skelton and American soprano Eva-Marie Westbroek in the title roles) had a spring 2016 debut in Baden-Baden. It plays at the Met through October 17th. Gioachino Rossini's Guillaume Tell returns to the Met after an eighty year absence in a new production Pierre Audi that the New York Times calls "uplifting," and and one that "shows unflinching trust in the opera." Rossini's final work (which sits squarely in French Grand Opera rep) isn't seen on many schedules, and its run will have New York buzzing. This production stars Gerald Finley ("velvety smooth tone...impeccable characterization..." The Guardian) in the title role and Marina Rebeka as Mathilde. Bryan Hymel and John Osborn share the role of Arnold and Fabio Luisi conducts the production (co-produced with Dutch National Opera) that runs from October 18th to November 12th. Robert LaPage, whose controversial (and stunning) new Ring Cycle electrified New York returns this season with a new production of Kaija Saariaho's L'Amour de Loin. The opera, commissioned by the Salzburg Festival and premiered in 2000, tells the story of unlikely and ephemeral love with, according to BBC, ..."a fluidly structured score that constantly hints at the intangibility of this strange love." Susanna Phillips and the epic Eric Owens (riveting in last season's Elektra) star with Tamara Mumford in a production that the Met says features "glimmering ribbons of LED lights that extend across the length of the stage." The production opens December 1st and continues through December 29th. "...handsome and energetic" staging, with "...rich costuming by Catherine Zuber and a stark, atmospheric set..." is how Opera Today describes the new Bartlett Sher production of Charles Gounod's lush Roméo et Juliette, that debuts at the Met December 31st for a 'more romantic than usual' New Year's Eve gala. Following runs in Salzburg and La Scalla, the New York production stars the youthful Diana Damrau and Vittorio Grigolo, who sizzled together in last year's Manon. Both singers are riding high on thrilling performances and rave reviews. The production runs through March 18th with rotating casts. The splendid Kristine Opolais, who in last season's Manon Lescaut the New York Times said "...sounded as glamorous as she looked," returns in a new production of Antonin Dvorák's Rusalka, and in the title role that brought her international recognition. Katarina Dalayman, Jamie Barton, Brandon Jovanovich and Eric Owens round out the fine cast in Mary Zimmerman's new production, which runs February 2nd through March 2nd. The last time the Met revived Rusalka, it starred Renée Fleming in a role that played no small importance in her own career. In April, the Met offers Ms. Fleming, who is 57, a new production for the role with which she is perhaps most associated, Marschallin in Richard Strauss' grand comedy Der Rosenkavalier. The production is directed by Canadian Robert Carsen (the Met's 2013 Falstaff) and also stars the Latvian mezzo-soprano powerhouse, Elīna Garanča. Ms. Fleming told the Telegraph in February that Rosenkavalier at the Met and Covent Garden this season would be her last "mainstream opera appearances." I am not going to miss this performance. There are a number of returning productions with exciting casts that shouldn't be missed. Michael Mayer's slick, Vegas-inspired Rigoletto returns in January. 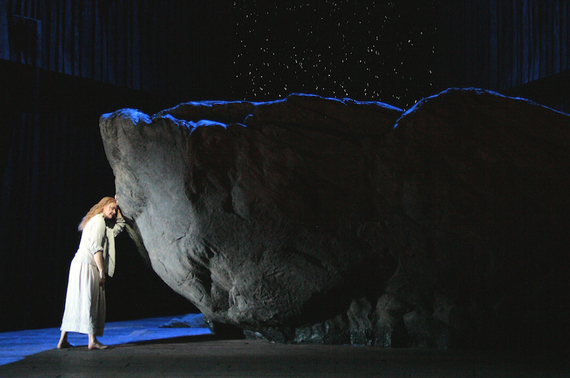 Soprano Catherine Naglestad makes an anticipated Met debut as Salome. The 28-year old soprano Nadine Sierra (Florida native and Mannes graduate) returns to the Met in Don Giovanni and Idomeneo. Diana Damrau stars in the firey revival of I Puritani and Vittorio Grigolo sings Werther in an atmospheric and brooding production. The young South African soprano Pretty Yende is paired with bel canto tenor sensation Javier Camarena (who last season became the third person since 1945 to break the Met's house rule on no encores - he did one - in Don Pasquale) in Il Barbiere di Siviglia. Camarena also sings with Damrau in I Puritani. House favorite Anna Netrebko returns for Manon Lescaut and Eugene Onegin. Janáček returns to the house (Jenufa) and the Met's next music director Yannick Nézet-Séguin conducts Der Fliegende Holländer. Metropolitan Opera General Manager Peter Gelb discusses his thoughts on opera talent with ZEALnyc here. Exciting times. I'll see you at the opera. Mark McLaren, ZEALnyc's Editor in Chief, writes frequently on classical music and theater.